Hallo! Ich heiße Michelle Enkerlin. 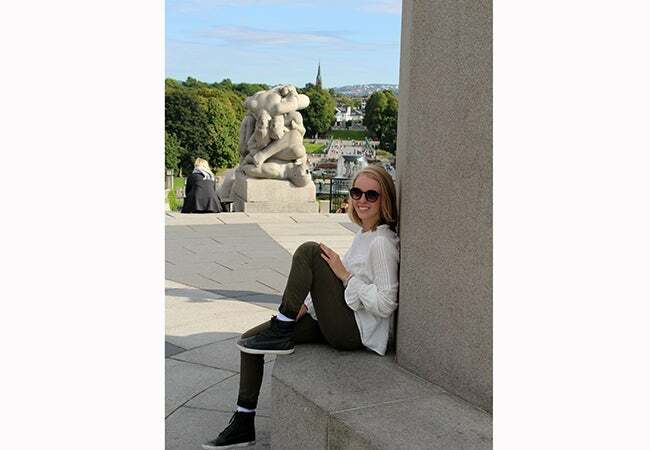 I am a junior at NYU Stern, co-concentrating in Global Business and Marketing and minoring in German, and I am currently studying abroad at NYU Berlin! 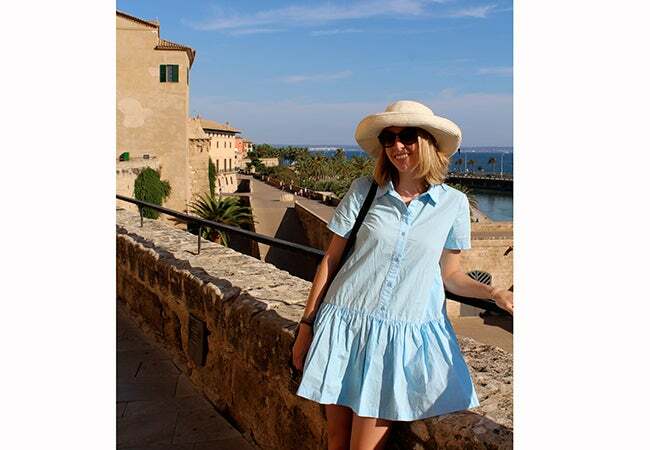 I will be sharing my experiences with you throughout the semester to give you a small glimpse of what it’s like to explore Europe and study abroad, especially at site that is less typical for Stern students. I’ve been in Berlin for just over a month now, and consider myself somewhat adjusted. We started off with a week-long orientation that was actually quite informative and interesting. NYU took us on a bus tour of the city, and several professors gave us walking tours of the neighborhoods around the dorms and the academic center. 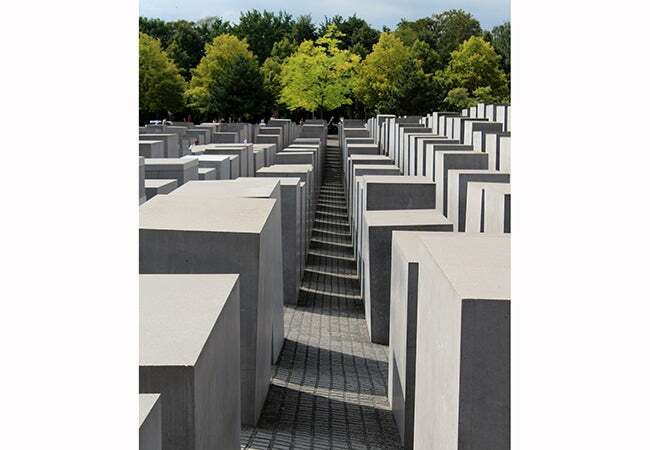 As part of the bus tour, we visited one of the most interesting places in Berlin – the Holocaust Memorial. The design and layout of the memorial are overwhelming, a reminder of how complex humanity is and how horrific the Holocaust was. I really recommend walking through it if you are ever in Berlin. The walking tours were amazing opportunities to learn about the unique history of each neighborhood. For example, we toured one area that used to be no-man’s land when the Berlin Wall was still up (i.e. 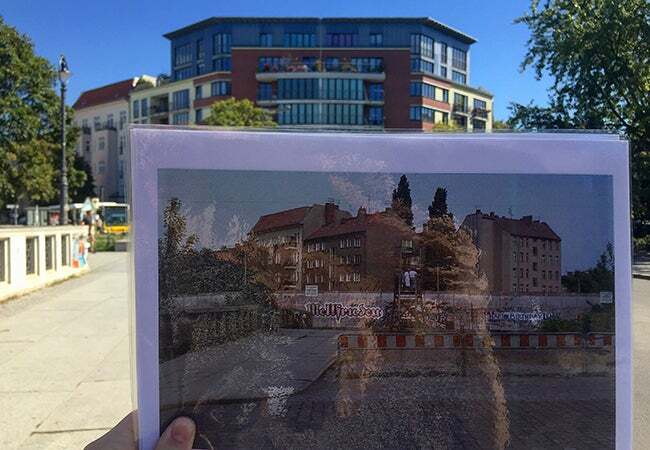 the land between the beginning of one end of the Berlin wall and the last part, where crossing was usually fatal). In the picture below, you can see the red-roofed building on the left is the same and the bridge I am standing on used to be blocked off by the Wall. After school began, I started to explore Berlin on my own. Some things I quickly discovered were: everyone wanted to speak to me in English (which can be frustrating when you’re trying to learn German), no one accepts credit cards (annoying when you want to “earn miles on every purchase”)and everyone immediately assumed I was American (I am of German and Mexican descent). 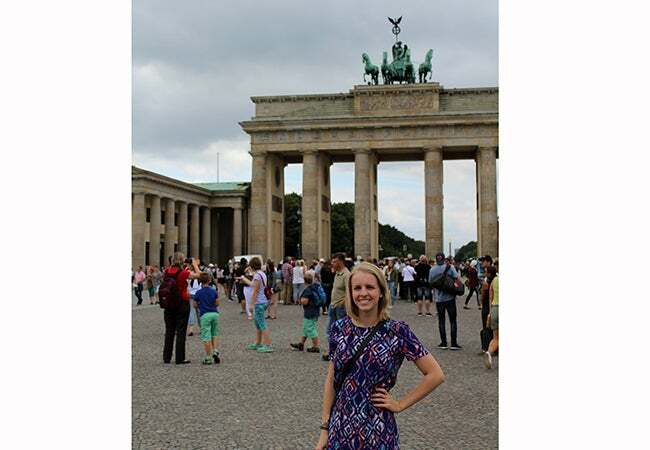 Nevertheless, Berlin is the perfect city to study architecture and history (two classes I am taking)! 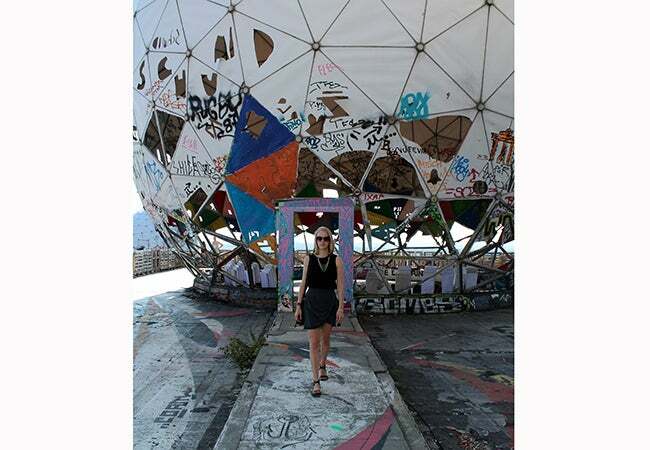 After class one day, two friends and I took the train to Teufelsberg (Devil’s Mountain), which is an artificially made mountain created from the rubble following the destruction that occurred during World War II. 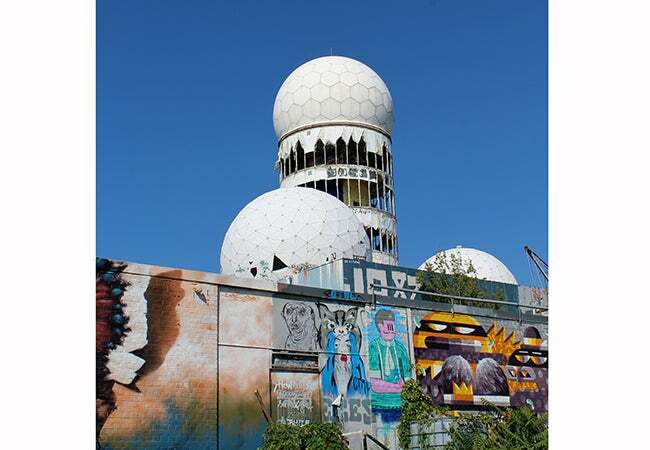 During the Cold War, the Allies built a radar station on top of Teufelsberg to spy on East Berlin and the Soviet Union. After the fall of the Berlin Wall, it was left abandoned and covered in graffiti by artists. It’s definitely eerie and mysterious, but well worth the hike. 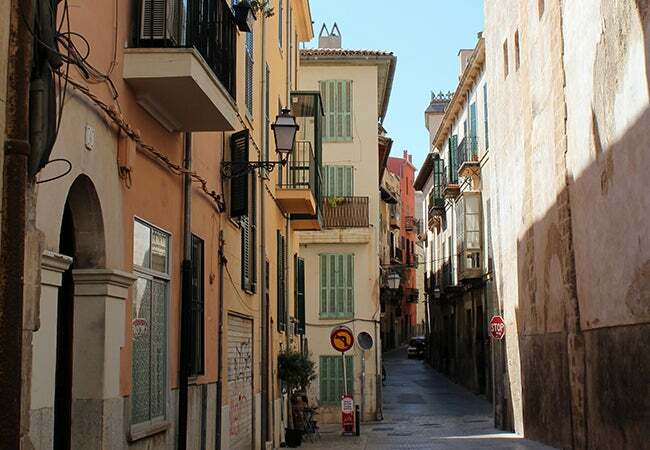 The first weekend after classes started, a group of friends and I traveled to Palma, Mallorca (an island in Spain) to enjoy some of the last warm days of summer. 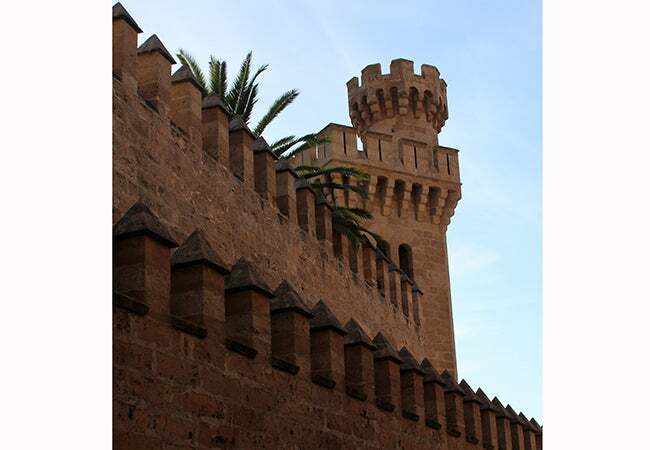 It was beautiful and full of Spanish and Arabic architecture. 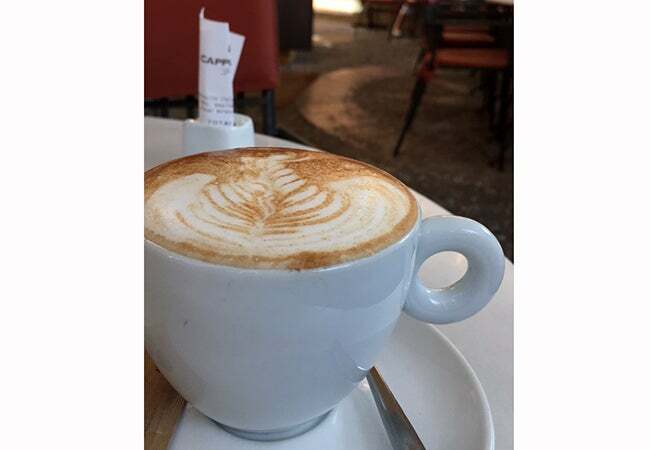 Below are some pictures of the town and the cappuccino I had at a cafe named Cappuccino. 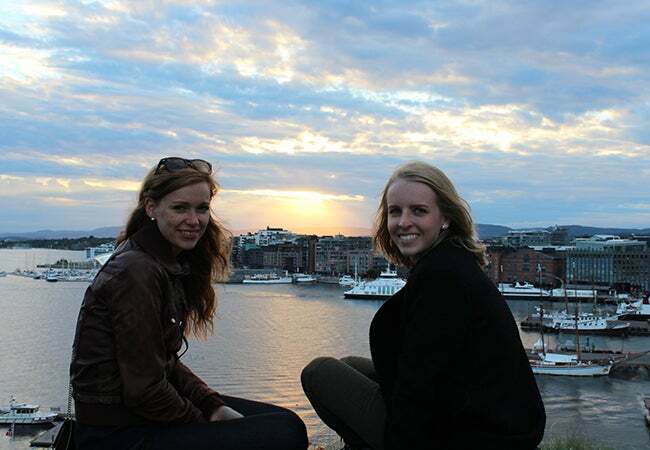 Two weekends ago, I was able to go to Oslo, Norway, and visit my cousin and his fiancé. Because I don't have family near New York, getting to see them was really nice. 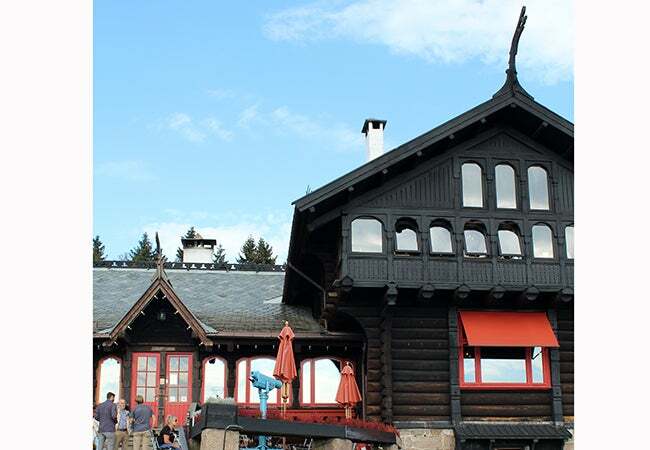 I was also thankful to be among some locals who could speak the language and introduce me to all the best spots. 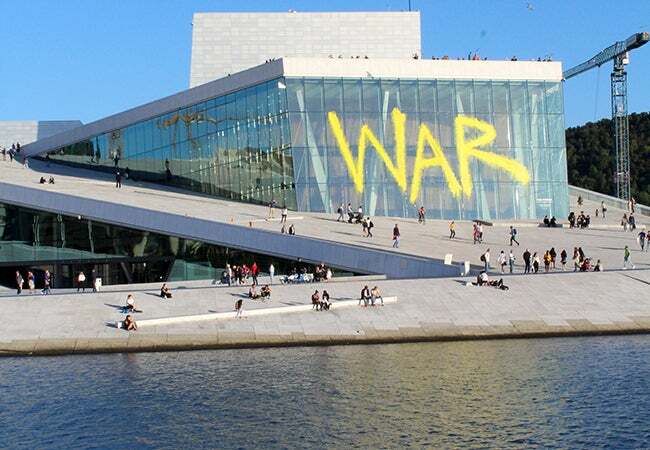 Below are some images from the top of an ancient fort, the Oslo Opera House, a stereotypical Norwegian lodge and the Vigeland Sculpture Park.